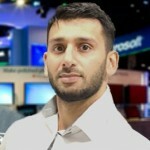 Dynamics CRM Security Roles do a very good job of securing the Data within CRM, and this also applies for the command buttons. However sometimes you may have a requirement to completely hide the Button but without removing the users security roles, often in cases where you have an integrated CRM where Web services are involved to perform requests for CRM rather than the UI, or where plugins are involved. In such a scenario where you want to allow the user to keep the security privilege but remove the button from the interface to enforce your custom business process or prevent users getting confused by all the options available. 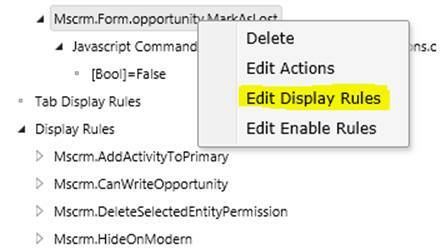 You will also want to only hide the button for a specific group of user, so simply using the ‘Hide’ button feature in Ribbonworkbench will not be suitable in such scenarios. Security rules allow us control access to records, however when it comes to controlling access to Sitemap and Ribbon Buttons requires Entity Privilege Rules. 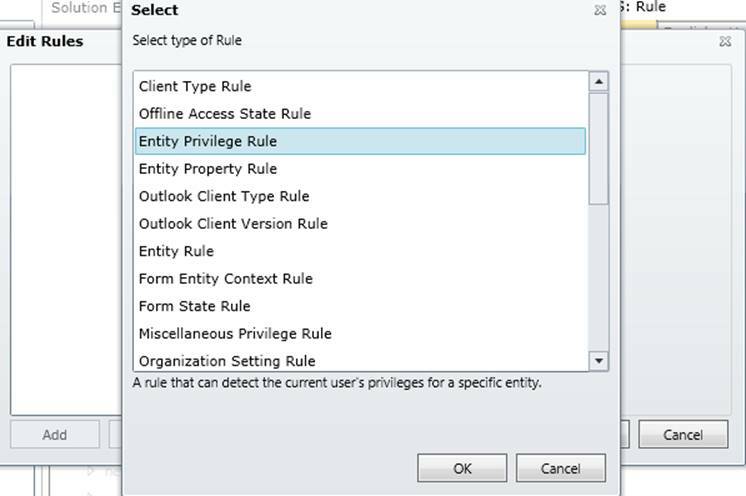 If an Entity Privilege is shared among more than one group of users, you will need to create a unique entity Privilege. 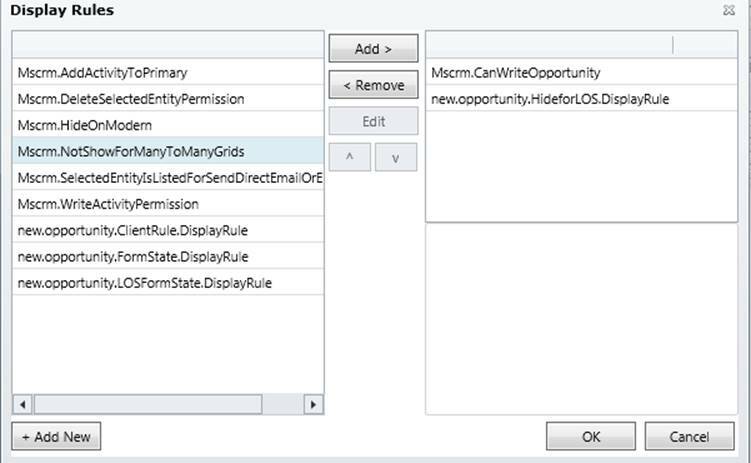 To do this we can create a Custom Entity for the given business area you intent to apply a Privilege rule, Allowing us to show a Custom Sitemap or Button Command Display rules for specific groups of users when we can’t do so with the current security roles in place. I would advise against using the ‘Inverse’ privilege display rule, since system admin who may need access to the button will also never be able to see the button as they have all privileges. A better approach would be to Add the New Entity Privilege to Existing Security Roles that should display the Application buttons, so that only users who do not have the new Navigation privilege will not be able to view the button. This approach may require some rework to amend existing security roles with the new privileges but is a better solution that doesn’t affect admin access to the Hidden buttons. 2) Now if we go to into securities roles we will see a new row added, we can use any of these privileges but to be consistent we should use one particular role that we use consistently before applying to Sitemap and Button customisation, here I have decided to use the ‘Global’ Access level on the ‘Read’ Privilege to use with Navigation Entity will also create a new Set of Security Privileges that we can use as a Custom Privilege Rule. So now users will require Global Read Privelidges on (new_customnavigation) to be able to view the hidden crm buttons. Invert Result: Leave as false, setting Invert to true will result in buttons always be hidden from admins. PrivilegeType: The Privilege Type that the User will be given for the Display rule to take into effect, so simplicity I usually Set this to Read. Repeat Steps 5 for each button you want to apply the Hide Privilege Rule before Finally Publish your Changes.